Guys, I’m going through some serious blender withdrawal right now. Yep, major #firstworldproblems happening over here. My belongings – Vitamix included – are currently en route down here from Vancouver on the back of a truck, and should arrive by the end of this month. Just like when I moved from Waterloo to the west coast, if you’d asked what items I was most excited to see again, my blender ranks right up there near the top. It’s also the one I put the most bubble wrap on and wrapped with thick layers of blankets. She’s precious cargo! Between all the smoothies, dressings, banana soft-serve and other creations that have come out of it, I’m pretty sure she’s down to pennies per use at this point. Of course, I’m not in complete dire straits here and know there are no shortage of places within a 10 minute walking radius from my apartment that could fix me up with a smoothie in a heartbeat. 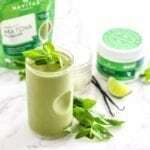 But there’s just something about putting on my mixologist hat and blending up an at-home creation, full of all sorts of veggies, superfoods (currently loving this!) and other goodies. Tell me I’m not alone here? 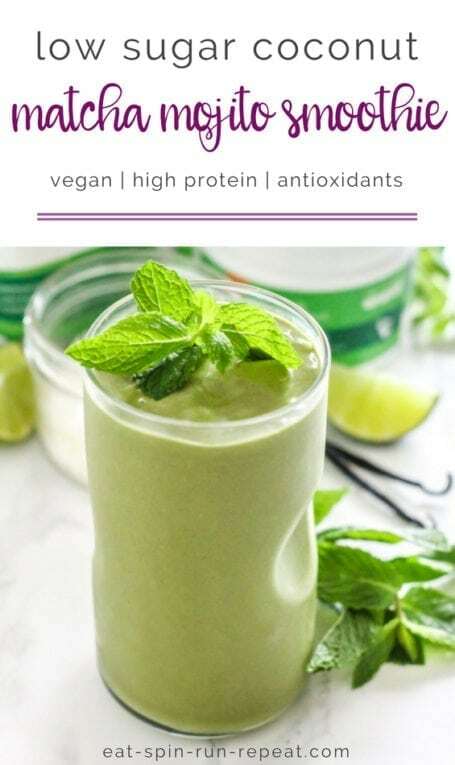 Tomorrow is National Smoothie Day, so just in case you needed another reason to whip up a delicious glass of green goodness for yourself, here it is. 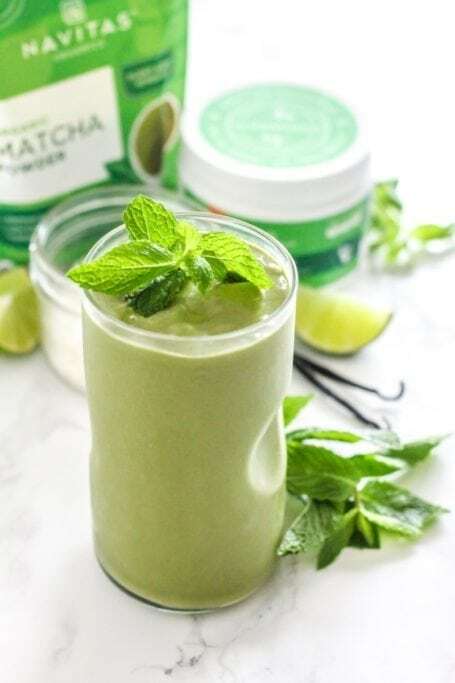 Low-sugar smoothies have been my jam lately, and this Low Sugar Coconut Matcha Mojito Smoothie is the first thing I’ll be making when my dearest blender and I are reunited. 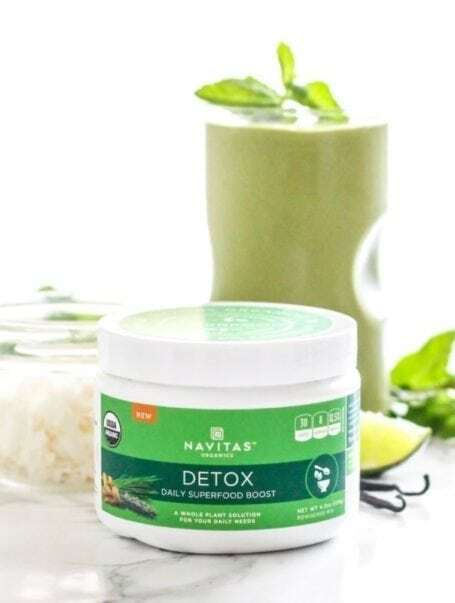 Think creamy coconut, zesty lime, subtly sweet, vanilla flavour, and a touch of matcha earthiness. Cheers! 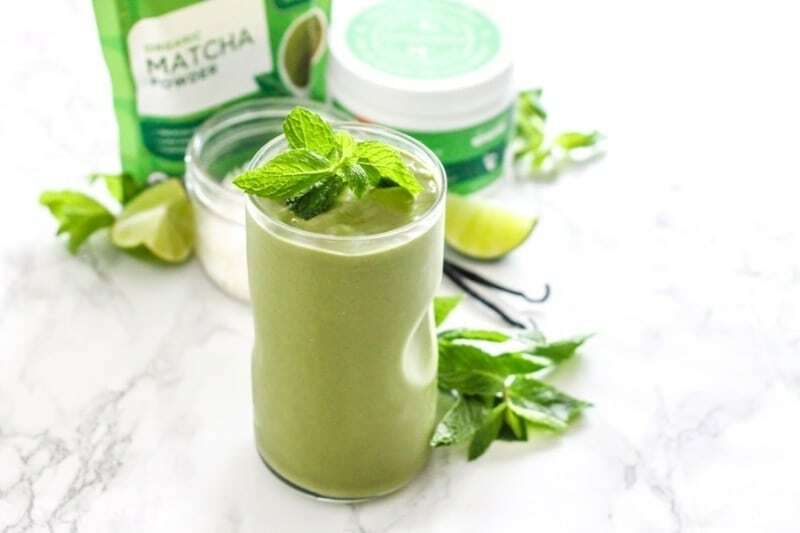 Delightfully coconutty with a twist of lime and a hint of mint, this Low Sugar Coconut Matcha Mojito Smoothie is loaded with antioxidants and is sure to give you an energy boost. Toss everything into a blender. Blend until completely smooth. Adjust consistency by adding more ice if needed. Pour into a tall glass and enjoy! So tell me… are you celebrating National Smoothie Day tomorrow? What will you blend up?